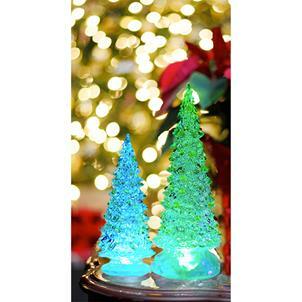 This twinkling, color-changing Christmas tree is a perfect gift or decoration for the home or office. Acrylic. Approximate size: 10"
This twinkling, color-changing Christmas tree is a perfect gift or decoration for the home or office. Acrylic. Includes 3 AAA batteries. Measures: 10"